You can spend a full day and enjoy so many experiences along the riverfront in North Little Rock. Several great attractions are set between the city’s retaining wall and the Arkansas River. Here’s an end-to-end tour of things you can enjoy along this stretch. You can hop onto the Arkansas River Trail, which connects both sides of the river with 15.6 miles of flat-terrain paths, at the Clinton Presidential Park Bridge. This former Rock Island Bridge is the easternmost of Greater Little Rock’s famed Six Bridges, and it connects North Little Rock to the William Jefferson Clinton Presidential Center and Park. The east end of the trail is located at the base of the bridge, where you’ll also find Downtown Riverside RV Park. This popular park offers 61 RV campsites with water and 50-amp electrical hookups – a great place to pull in if you’re traveling with a camper or RV. 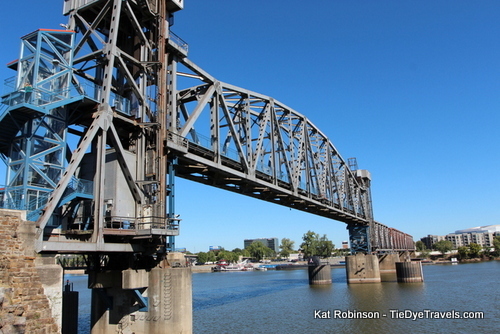 Beyond the Interstate 30 bridge lies the Junction Bridge, another link to Little Rock, complete with elevators that will take you up to the highest viewpoint along this stretch of the Arkansas River. Like the Clinton Presidential Park Bridge, it’s a converted railroad bridge now solely dedicated to pedestrian and bicycle use. The Junction Bridge was originally built in 1899. 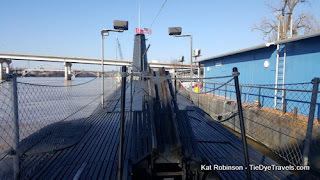 The Arkansas Inland Maritime Museum is located between the Junction Bridge and the Main Street Bridge. It includes a floating visitors center, museum and the U.S.S. Razorback submarine, the world’s longest serving warship. The Razorback, commissioned first by the United States and then by Turkey, has seen 53 years of active duty. 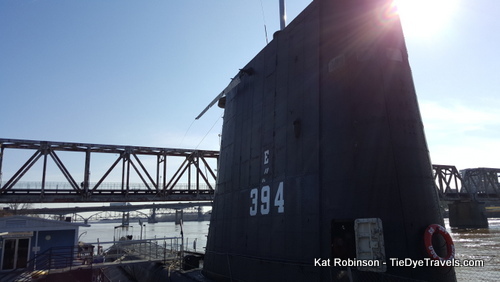 Visitors can climb down ladders into this remarkably complete watercraft and see what life was like for the 80 men who served on board, including where they slept, ate and worked. Guests can also walk the deck of the U.S.S. Hoga, a tugboat which was onhand during the Japanese attack on Pearl Harbor in World War II, and which heroically pushed ships out of channels and fought fires that day. 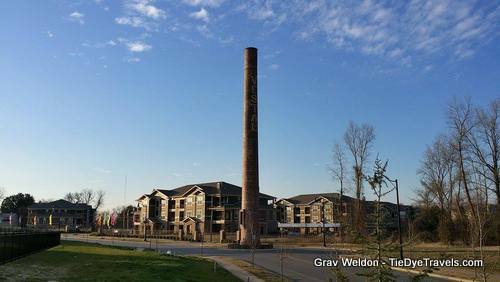 As you travel west along Riverfront Drive or the Arkansas River Trail, you may notice a tall brick chimney. This is what is left from the old 130 acre Vestal Nursery, which once grew roses and other botanicals on a large tract along the river. 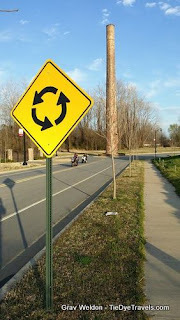 Today, it sits in the center of the road near a traffic circle. Rockwater Marina is close by. 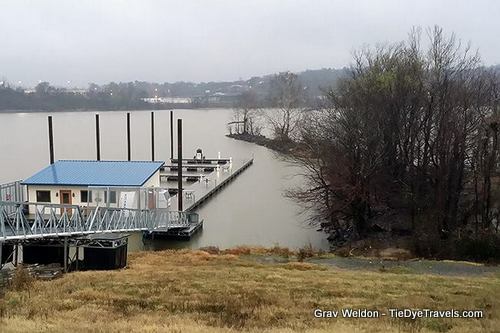 This mixed-use development combines residential hookups for houseboats and other floating craft as well as overnight services for people who are traveling the Arkansas River by boat. There’s a convenience store, gas station and other conveniences located right on its docks. Further up the trail, you’ll find the Riverview Skatepark. 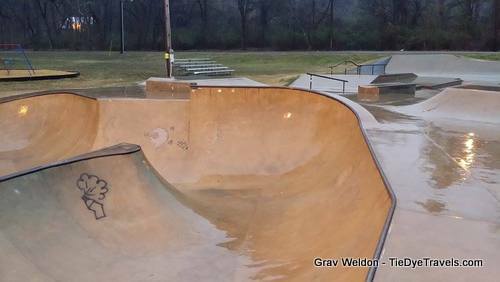 If you’re a skateboarder or inline skater looking for bowls, steps, inclines and rails to ride, this is one of the best places to find such in Arkansas. Further along, roll or walk under the cliffs at Emerald Park, a 135-acre park along the north shore of the Arkansas River. Keep going, and the trail enters Burns Park, a 1700 acre park that’s one of the largest municipal parks in North America. Burns Park includes everything from soccer and softball fields to a golf course, Civil War cabin and amusement park. 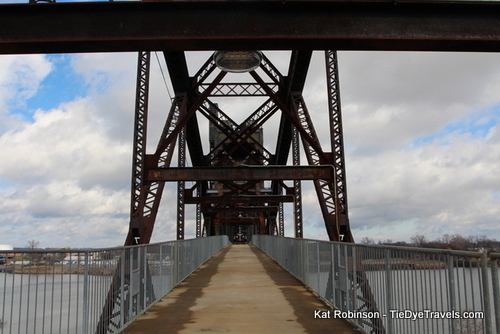 The Arkansas River Trail, extends to the Big Dam Bridge, the world’s longest pedestrian-intended bridge. The North Little Rock approach is a long incline that stretches out and up to the flat section that rides above Murray Lock and Dam. If you’d like more information or want to start planning your trip, check out this page.